The 24 Heures Motos 2019 is firmly on track. The road to the next FIM EWC race opened at the Paris Motorcycle Show with the unveiling of the official poster. Tickets go on sale from 9 October. 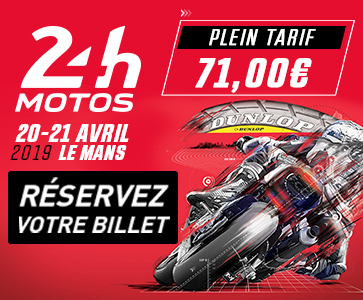 Automobile Club de l’Ouest (ACO), the 24 Heures Motos organiser, has launched the 2019 edition of the race – to be held at Le Mans on 20 and 21 April – at the just-opened Paris Motorcycle Show. Riders Kenny Foray (ERC-BMW Motorrad Endurance) and F.C.C. 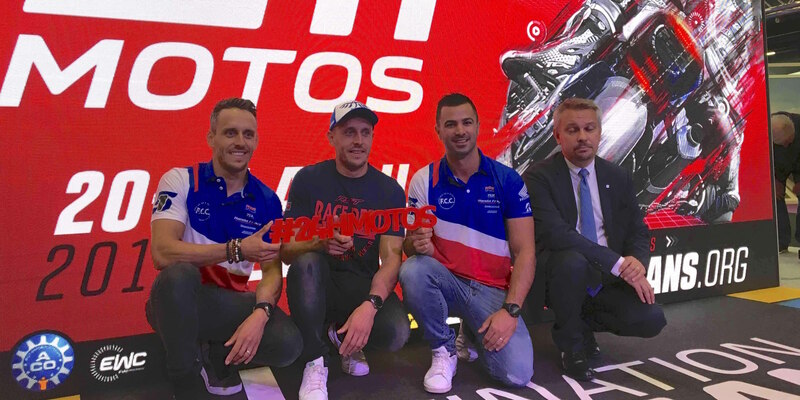 TSR Honda France’s Freddy Foray and Mike Di Meglio were present as the ACO unveiled the 2019 24 Heures Motos poster and announced that early bird tickets would go on sale from 9 October on the website lemans.org. Teams are gearing up too, as entries for the 42nd edition will open on 13 December 2018, with the final entry list to be revealed on 25 January 2019. Among the newcomers to the 24 Heures Motos, the ACO revealed that Belgian brand Sarolea’s project to enter an electric race bike in 2019 is well on its way to completion.